We like to have a LOT of fun around the office and with so much going on we are looking for a new team member to join our ever growing team here in the Denver Metro area. As the saying goes, “You are only as good as those you surround yourself with” and that is the core purpose of our team. So the hunt is on for our next amazing team member to join us as our Client Guru… a.k.a. our Client Concierge Manager. 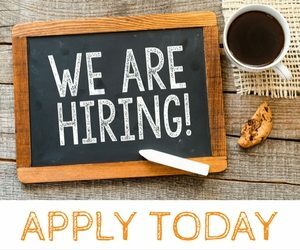 This position focuses on making sure the office and all of its activities run smoothly… From Transaction Management, to helping with our social media, creating marketing for our listings, and most of all… helping our clients! If this sounds like you please check out the requested skills below, and we look forward to hearing from you. Positive attitude and outlook on life! Ability to perform under pressure and maintain a high level of customer service. Attention to detail is KEY… we deal with legal documents and must adhere to strict guidelines. Hours: M-F 8:30 – 5:00pm * Some nights and weekends may be necessary during peak seasons.